Sydney's three years of double-digit house-price growth have pushed prices so high that they are now edging the majority of Chinese foreign investors out of the market, despite the dollar's recent fall. 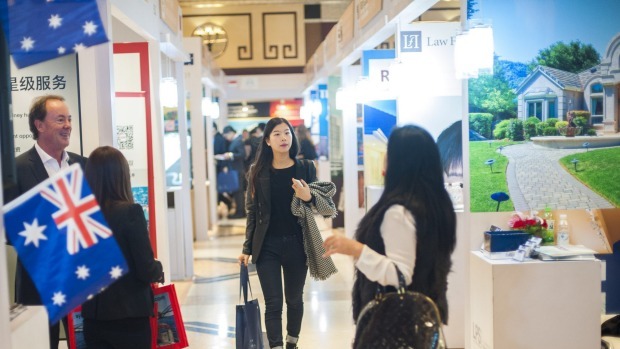 The sustained price growth that has generated concerns about a socially damaging lack of access to home ownership for locals is having a similar effect on foreign investors, many of whom are limited to similar budgets, real estate agency PRD Nationwide says. "Overseas investors are also turning toward the Brisbane and Queensland property markets as Sydney and Melbourne markets appear too expensive to gain a foothold," PRD says in its second-half Australia Economic And Property Report. The Australian dollar's 29 per cent decline against the yuan over the past three years has made real estate cheaper for investors, but the report makes clear that not even this has been sufficient to keep the majority of Chinese investors in the game in Sydney.